Cubase is one of the most powerful music creation software packages in the world. With its unrivalled range of flexible tools, you can create any kind of music quickly and intuitively. I t comes packed with a wide range of virtual instruments, effects and thousands of sounds. 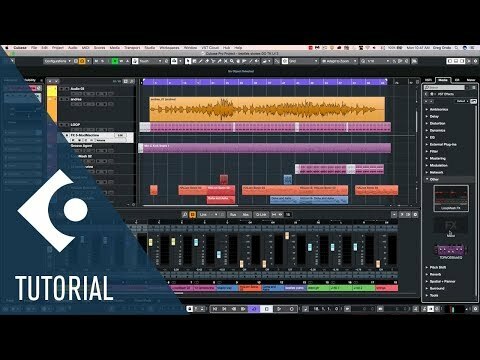 Whether you're a professional composer or a music production beginner, Cubase provides you with everything you need for turning your ideas into music. Composing: Find the right chords, arrange your songs and produce sheet music for others to play. Recording: Record any instrument or vocals, ensembles or soloists and produce the perfect take. Sequencing: Create musical sequences of your virtual instruments, keyboards and audio recordings. Audio Editing: Quickly and easily make the timing and pitch of your recordings perfect. Mixing: Mix multi-track projects in a professional and intuitive environment. 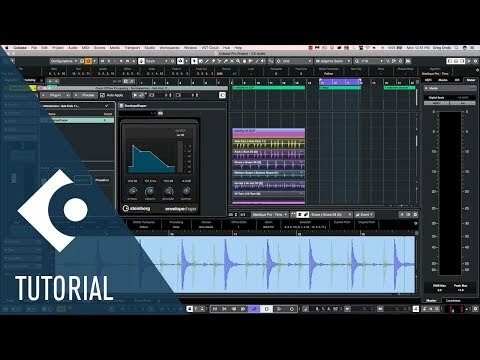 Beat Making: Produce beats and build tracks quickly and easily. Quality, workflow and usability – every aspect of VariAudio has been improved and extended with even more creative tools. Smart Controls significantly speed up your workflow by allowing direct control of all parameters at each segment. You can edit the micro pitch level for smooth drifts and transitions, adjust the formant shift for perfect natural tones, drastically transform your recordings with extreme pitch corrections… and everything in between – VariAudio gives you ultimate control. Doubling the lead vocal and stacking multiple recordings is a common technique in music production, but matching the timing of each recording to the lead vocal track can be a time-consuming task. The new Audio Alignment tool lets you sync stacked vocal and other recordings in no time, easily matching multiple tracks at once to a designated reference track, with the timing corrected automatically. Audio Alignment makes stacking recordings fast, easy and efficient. Create alternative mixes for your project and compare the results within seconds, thanks to MixConsole Snapshots. This facility lets you conveniently save your current mix in a tab directly in the MixConsole, for instant recall at any time. You can add notes to each Snapshot, recall only the EQ settings or even recall just the settings of an individual track. MixConsole Snapshots will fundamentally change and improve the way you mix. Steinberg Virtual Reality is a collective term for Steinberg's VR initiative, bringing you professional yet easy-to-operate tools for producing Virtual Reality content — from audio capture to final mixing. 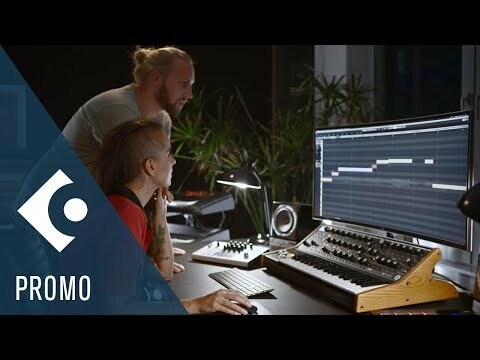 The VR production suite includes an array of plug-ins and seamlessly integrated functions, such as a third order Ambisonics bus, an HMD connector for head tracking, a fully integrated Binauralizer and a VR panning device, included in the VST Multipanner. Features • VariAudio 3: Ultimate control of your audio, with more creative tools and Smart Controls to speed up workflow. • MixConsole Snapshots: Instantly recall different project mixes and settings to quickly compare mixes and add mix notes. • Audio Alignment: Stack and match recordings quickly, easily synchronizing them to a reference track. • New Channel Strip: Channel strip overhaul offers better metering and functionality. • 32-bit integer and 64-bit audio: The Cubase audio engine delivers ultimate, no-compromise quality. • Easy side-chaining: Quickly and easily set up side-chaining to make space in mixes or create distinctive effects. • Groove Agent SE 5: Many improvements and a new user interface enhance the best drum production tool. • 5 GB of high-quality sounds and loops: The included sound content is brought to you by six highly acclaimed producers. • AAF support: Exchange multimedia data with all the most commonly used applications. • Distroyer: Add everything from subtle analog warmth to searing heat for mixes and individual instruments. • Vintage Verbs for REVerence: Better management, smoother workflow and 20 new impulse responses bring REVerence greatness to your projects. • Latency Monitor: Know exactly where — and how much — latency is occurring, quickly and easily.